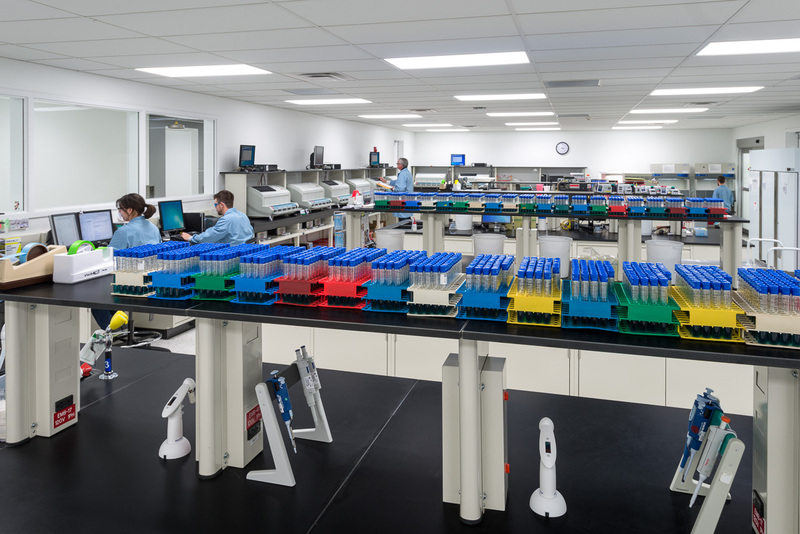 Hixson architects Bryon Sutherly and Paul Thamann detail the five things you need to consider when renovating your lab space. “We’re making it work, but it’s never been exactly right.” That’s a statement we hear over and over from lab users looking to renovate their labs. It is a typical problem that labs of all types face: Business needs change over time, often more rapidly than anticipated, but the design of the lab and supporting facilities are not flexible enough to accommodate these changes. When the facility doesn’t work as needed (more tests than planned, not enough storage, too much walking between functions, etc. ), employees will naturally find ways around the problem spots…workarounds about which their bosses may not even be aware. Because the very nature of labs means that they are often expense centers, not profit generators, such workarounds may be hindering the lab’s core mission and may lead to unnecessary, ongoing expenditures. Undertaking a lab renovation offers a great opportunity to look holistically at all functions and the flow-realities within each lab setting. The renovation process enables labs to undertake a detailed review of the long-term business objectives and financial outcomes for the facility, while simultaneously considering the functional design of the space. A true win-win-win is the lab redesign that reduces expenses (waste, rework, etc. ), without compromising customer or personnel safety, yet also allowing for productivity gains and throughput improvements. Read the Full Article.